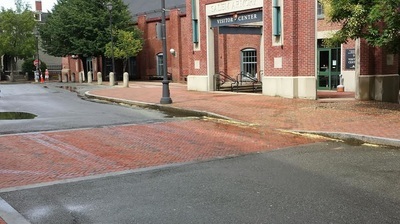 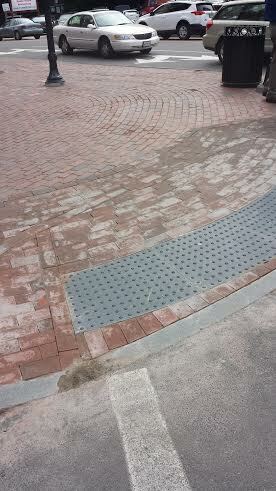 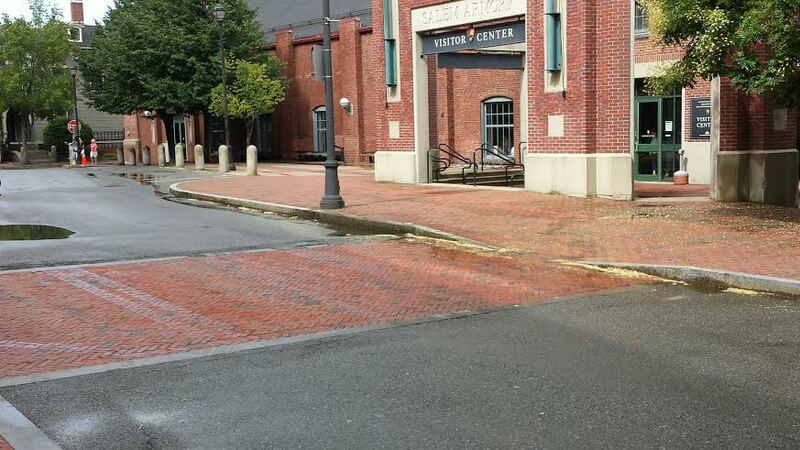 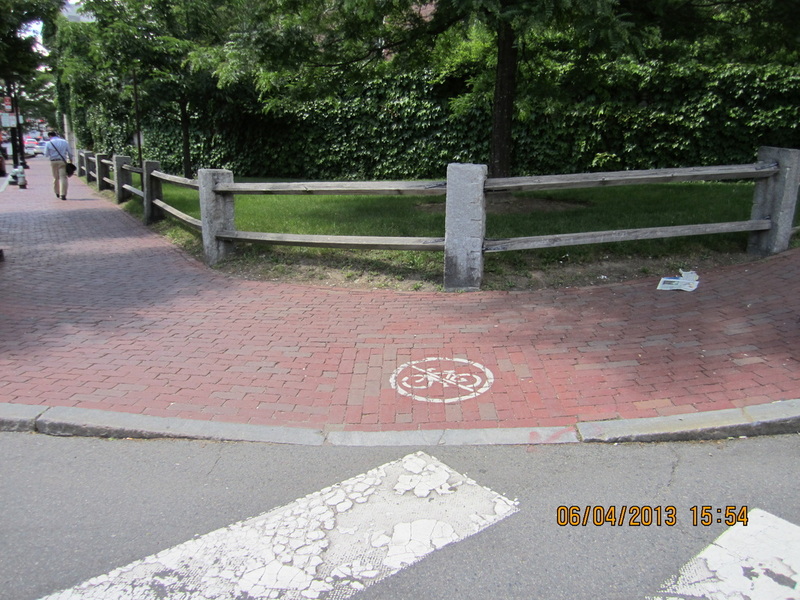 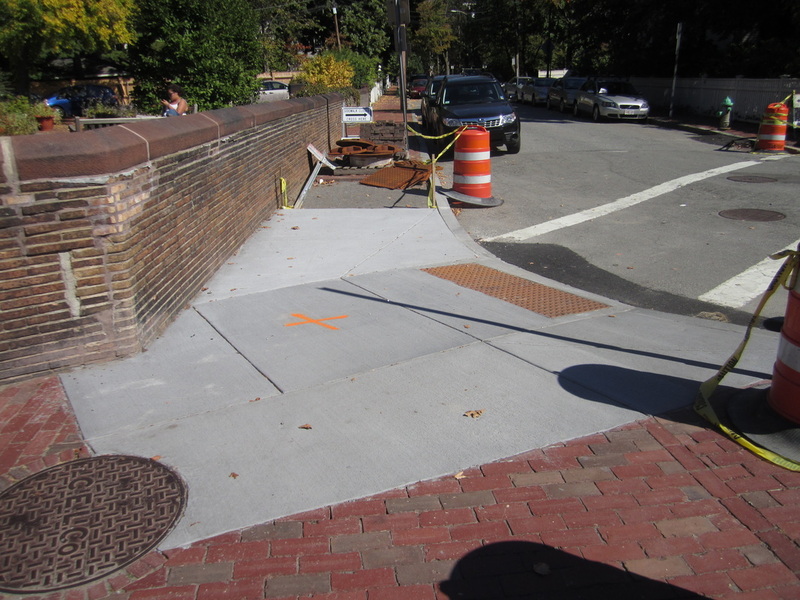 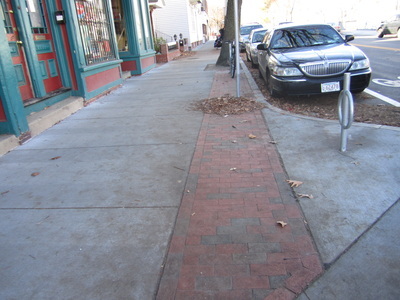 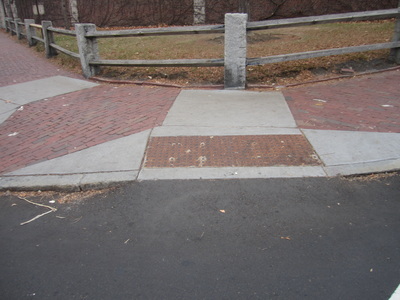 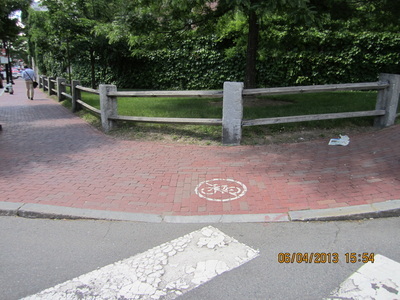 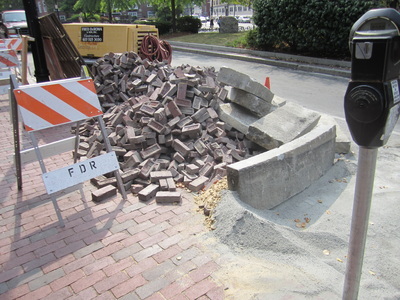 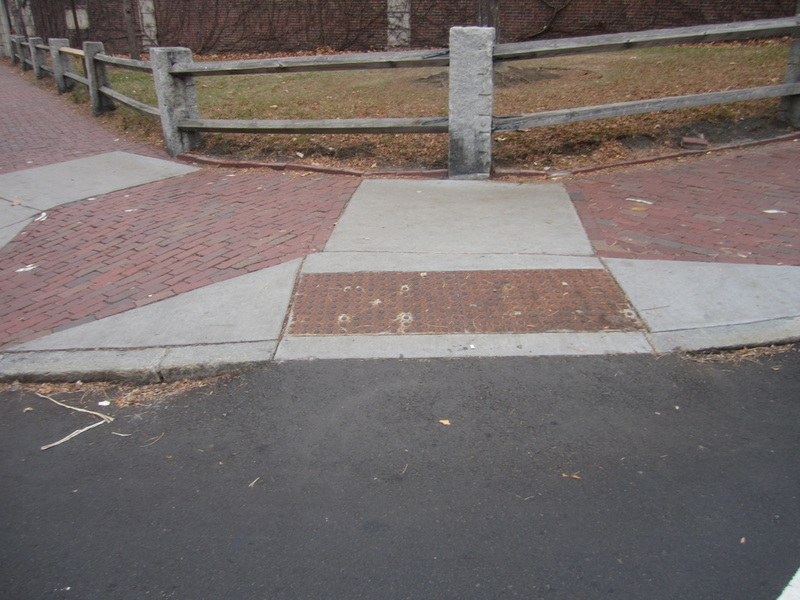 The conversion brick ramps and sidewalks into concrete is a tedious process that involves unnecessary disturbances to local neighborhoods, pedestrians and results in an extended period of inconvenience and lack aesthetic appeal. 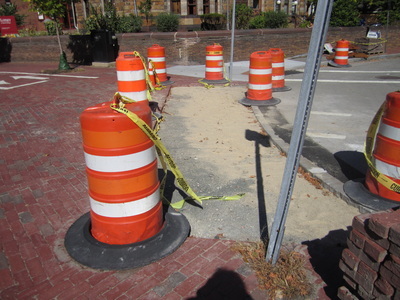 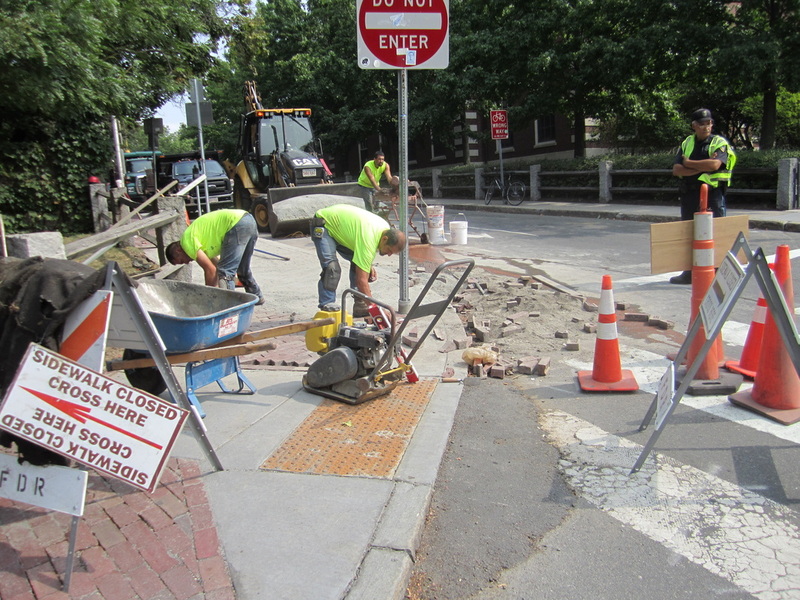 Below is a gallery of photos that short-handedly documents this construction process. 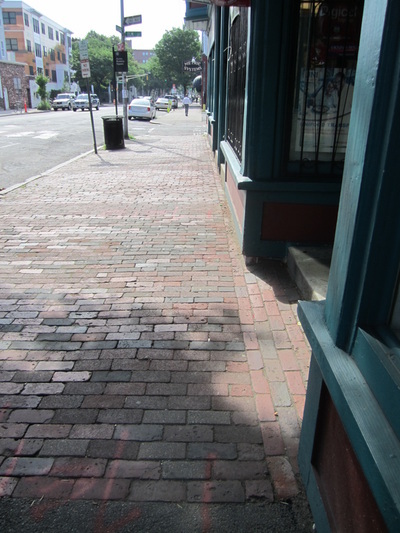 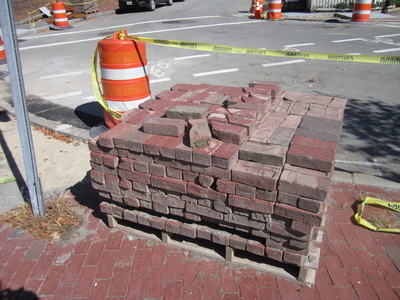 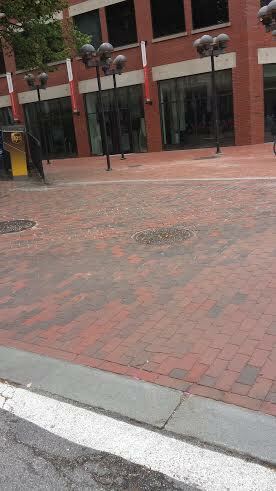 The removal of bricks and implementation of concrete often results in Cambridge's loss of its historic charm and vibrance. Concrete has a short life-span when faced against the elements of nature. 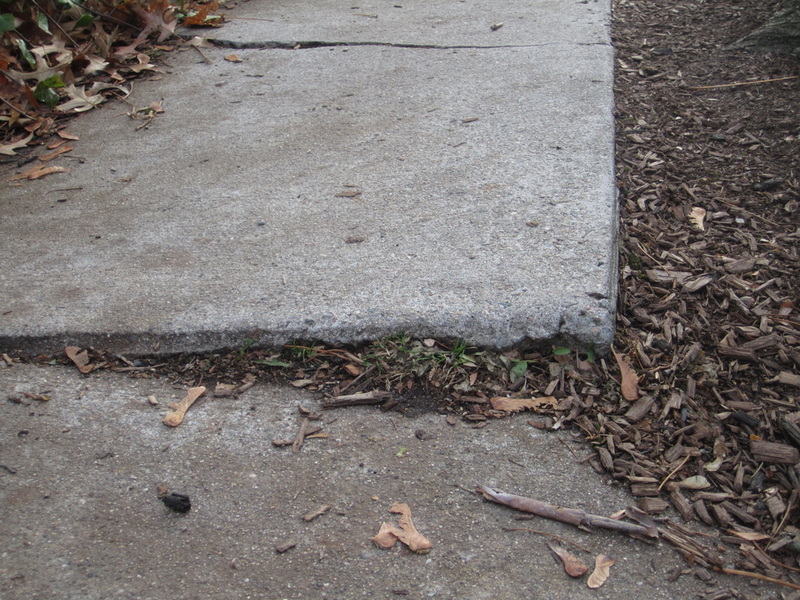 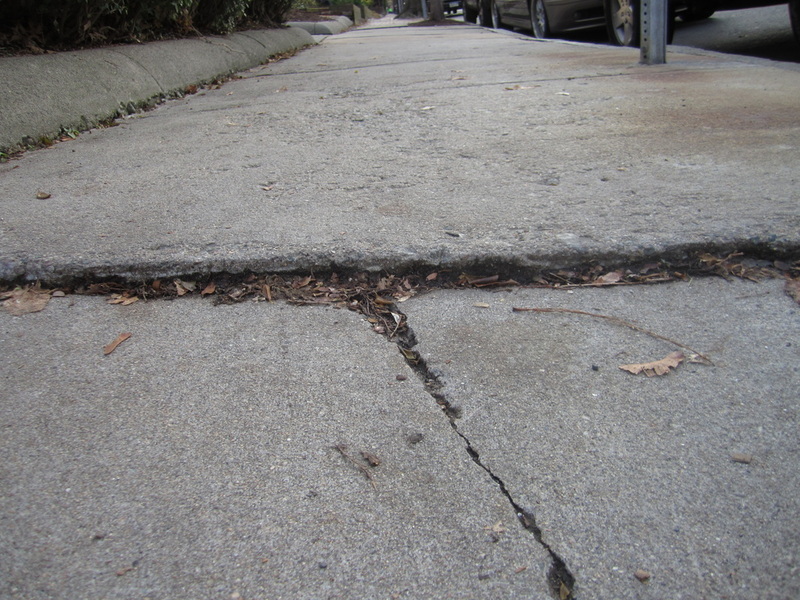 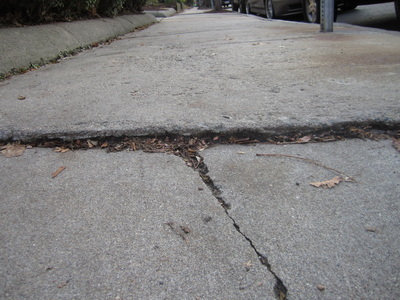 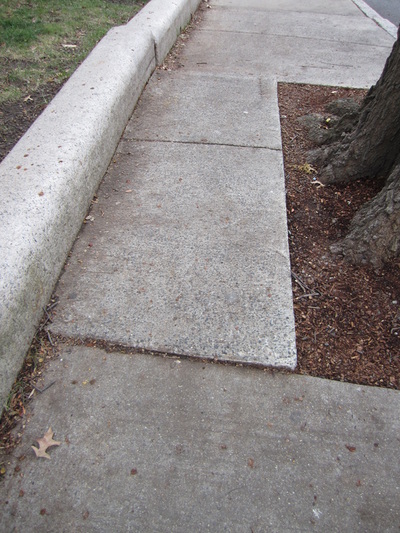 Tree roots and weeds often displace entire slabs of concrete, creating an uneven elevation and posing risks to pedestrians and tourist. 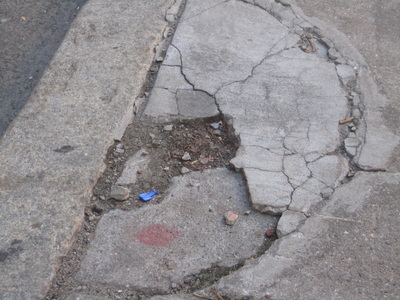 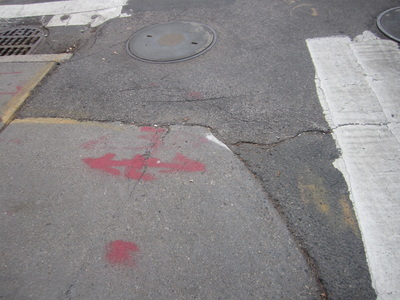 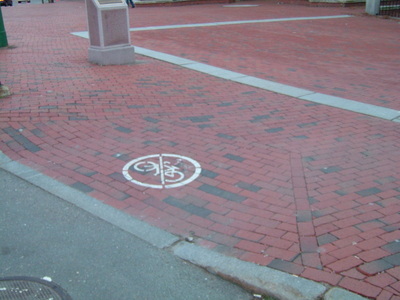 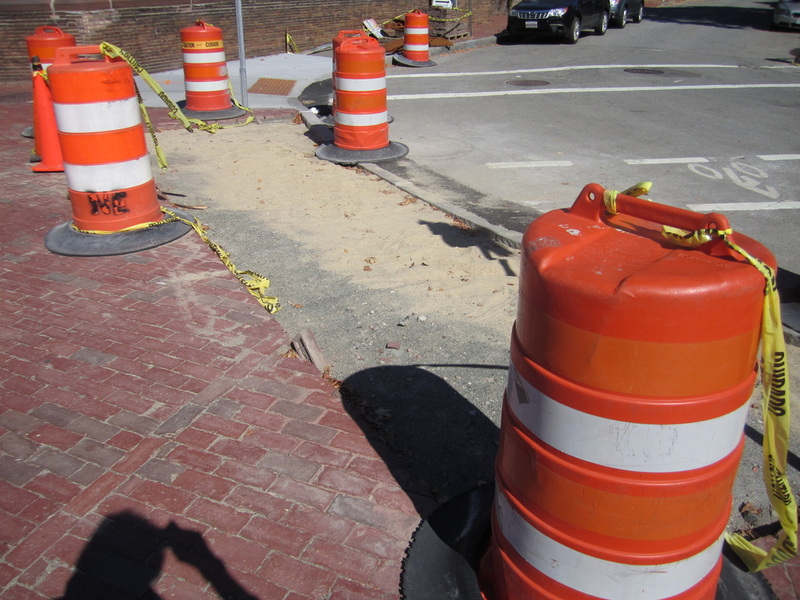 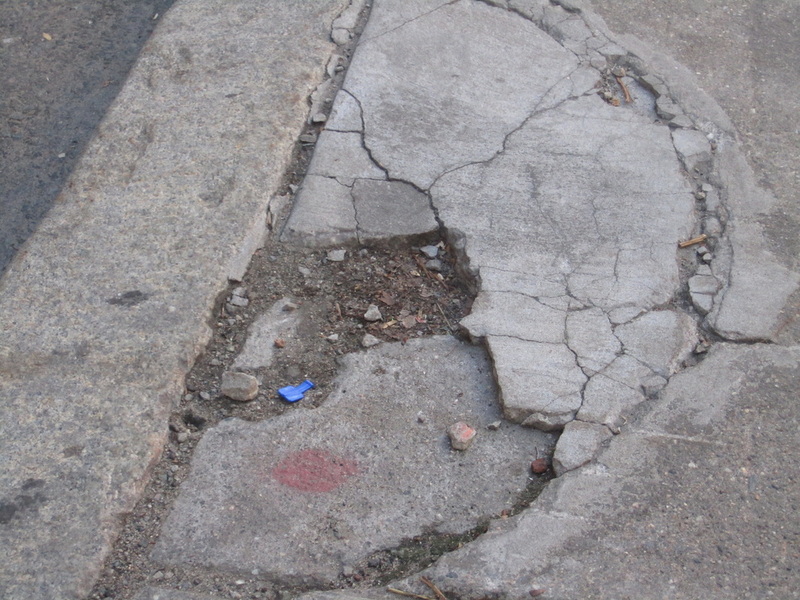 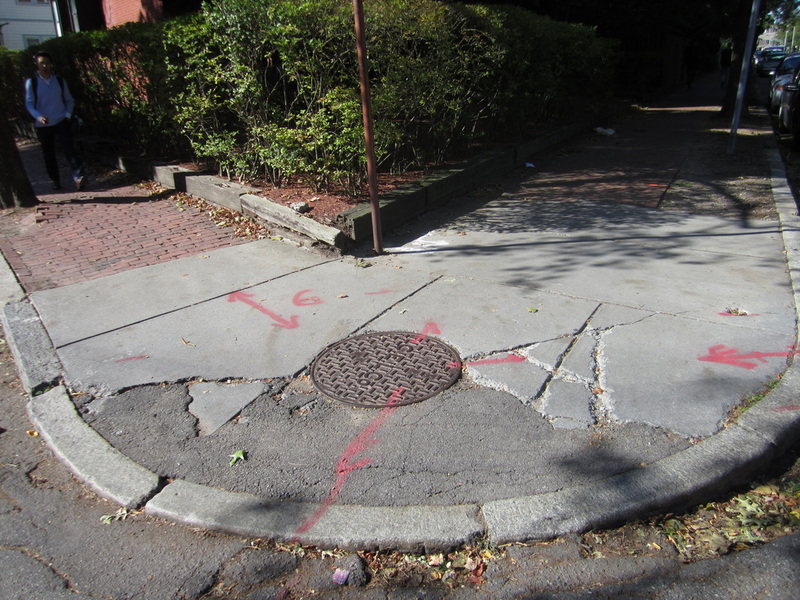 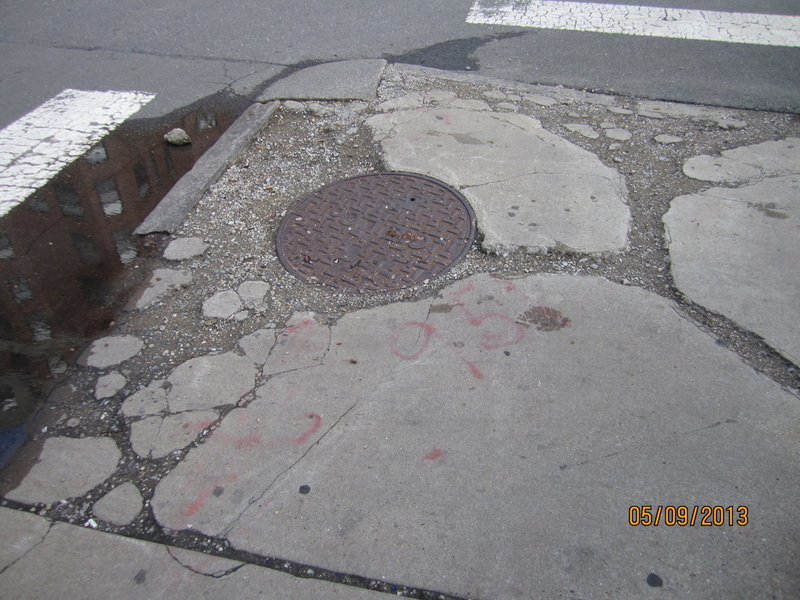 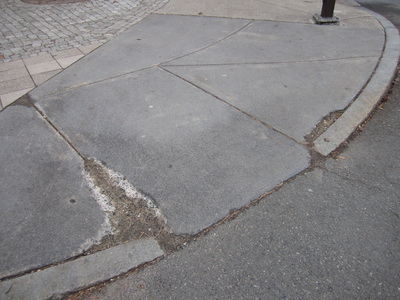 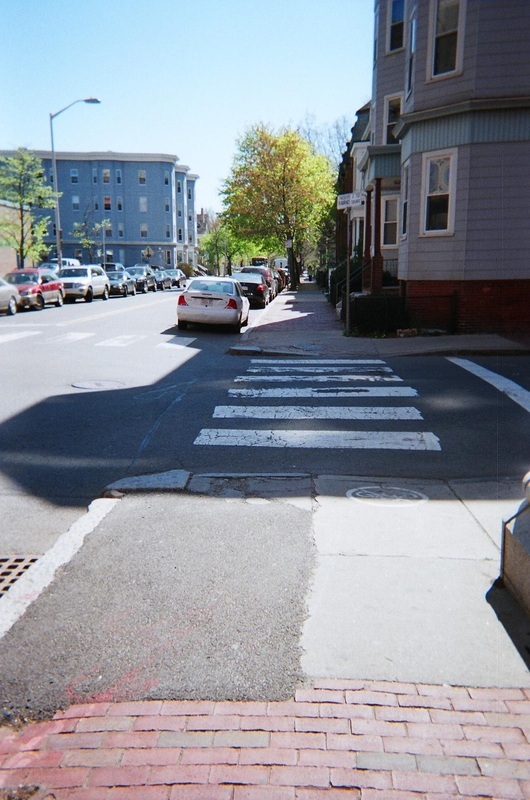 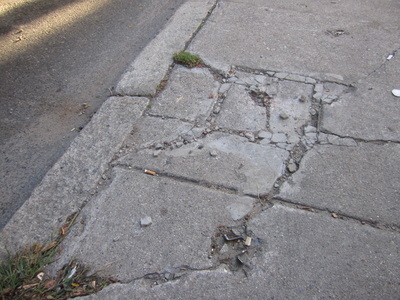 Because New England deals with all forms of snow, rain and sleet, the use of salt contributes to the wearing of concrete sidewalks and, consequently, calls for further attention and expenses to rebuild. 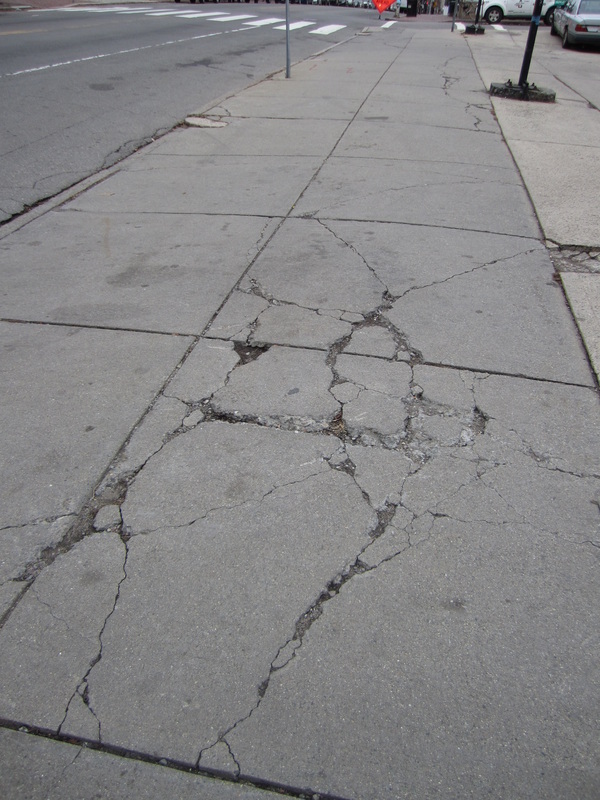 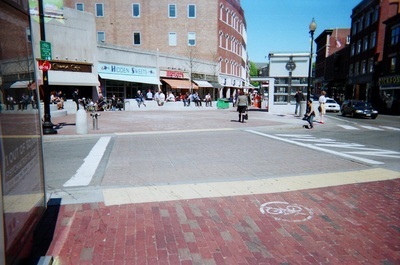 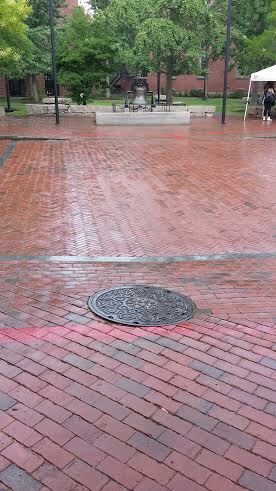 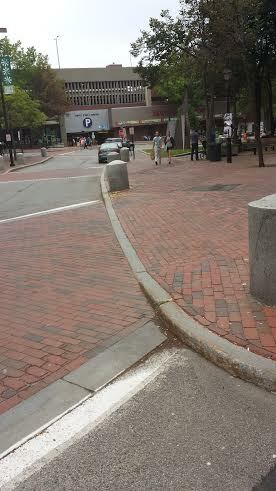 Concrete ramps and sidewalks pose a variety of unnecessary infrastructural and sustainability problems compared to brickwalks.